Save Big on Attic Insulation with Central Florida's Home Energy Experts! 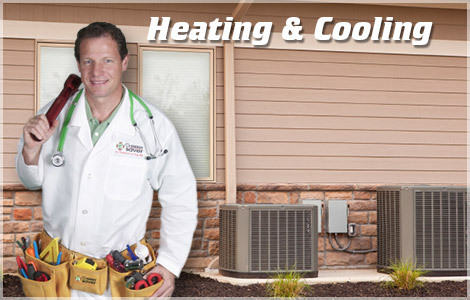 At Dr. Energy Saver Central Florida, our goal is to improve the comfort of your home while helping you save on energy bills. So charging so much money for so much work is out of the question! Whether you need attic insulation upgrades or radiant heat barrier installation, we are here to provide the best solutions available at a reasonable cost! You are not interested in paying for 500 square feet of insulation. You are interested in having a reliably comfortable home for you, your family and your friends. We understand the difference. We provide the right work in the right areas for the right results. I am so very pleased with your team, my house is more comfortable! your production crew was AMAZING. They were courteous, pleasant, professional, & Amazing! I recommend you to anyone and everyone I know. Thank you Dr. Energy team. You should be very proud of the services they give. They were very immaculate,cleaned everything perfectly. I had my ductwork cleaned today by Joel and Manny and they both did a wonderful job. I just wanted you to know that. Mr. Nixon called in and was complimenting the duct cleaners, he said they were so very professional and did a wonderful job. He hasn’t been a maint. Customer in a long time, but one of the duct cleaners talked to him about it, so he is going to become a maint. customer again! 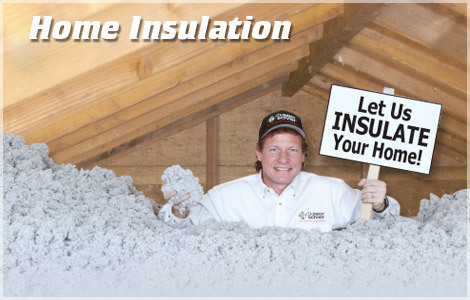 We properly insulate your home with the right type of insulation in the right areas. We also install radiant barrier systems. Ready to Start Insulation Work? We provide Free Estimates for all our Home Insulation projects. Call us today at 1-855-544-4070 or Get Your Free Estimate Online! We proudly serve Central Florida including: Clermont, Eustis, Howey in the Hills, The Villages, Montverde, Sorrento, Groveland, Dunnellon, Summerfield, Ocala, Tavares, Leesburg, Weirsdale, and all surrounding areas!. For over 50 years we have been servicing the Central Florida area. Not only that but the company has been family owned that whole time. This means for three generations Central Florida homeowners have trusted us to care for their homes. With our history customer satisfaction it does not come as a surprise that we are dedicated to quality work. We wanted the quality of our work to be matched by the quality of products we used. So we joined the Dr. Energy Saver, a network of hundreds of insulation contractors across the nation. As part of the network we have access to higher quality insulation products that others contractors do not. 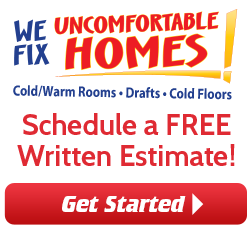 We provide Free Estimates for all our Home Insulation projects. Call us today at 1-855-544-4070 or Get Your Free Estimate Online! 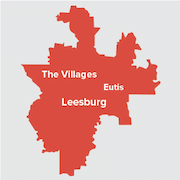 We proudly serve Central Florida including: Montverde, The Villages, Clermont, Sorrento, Eustis, Howey in the Hills, Tavares, Leesburg, Ocala, Weirsdale, Summerfield, Dunnellon, Groveland, and the neighboring cities and towns.